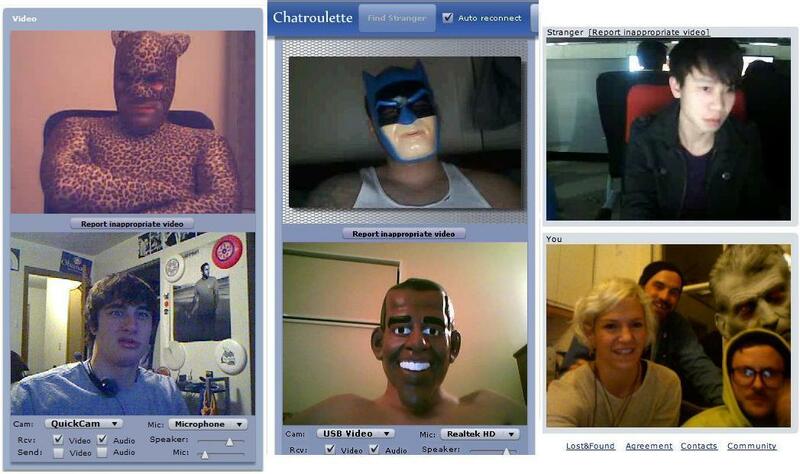 Yesterday I was on Chat Roulette.. I've heard about it a month ago from one of my friends.. I spent 3 hours and couldn't feel time pass by that fast.. It's very entertaining.. I liked it.. It is like an adventure.. Chatting with people from all over the world.. The site was launched November 2009 by Andrey Ternovskiy..A high school student in Moscow.. And the site's idea is to have a video,, audio and text chat with a total stranger..
Like any chatting web site Chatroulette requires users to be at least 16 years old,, not to give personal info,, and it prohibits pornographic behavior..
And if you didn’t like the partner you are given then simply hit Next.. There are some celebrities that have being using Chatroulette like Kelly Osbourne,, Joel Madden,, Nicole Richie,, Paris Hilton,, Ashton Kutcher,, Jonas Brothers and Jessica Alba..
Current's has shared how it sees Chatroulette.. Also here is a video for Merton -the new famous YouTuber- free-styling on a piano with random strangers,, and here is his second one..